If you've ever wondered why Beirut-based luxury fashion retailers Aïshti and Aïzone's advertising campaigns are so delightful - it's probably because they're executed by the NYC-based award-winning design firm Sagmeister & Walsh. Being a top design agency means Sagmeister and Walsh have a massive pool of New York talent, including some of the country's top photographers, set designers, and more. 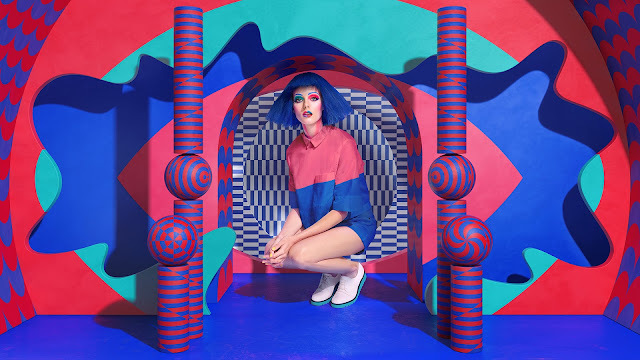 To top that off, when graphic design superstar and New York "It Girl" Jessica Walsh takes the lead as creative director on the project - there's bound to be a stellar cacophony of color. Sagmeister and Walsh have been commissioned by Aishti and its casual-clothing counterpart, Aïzone, for the past few years for their country-wide integrated campaigns. 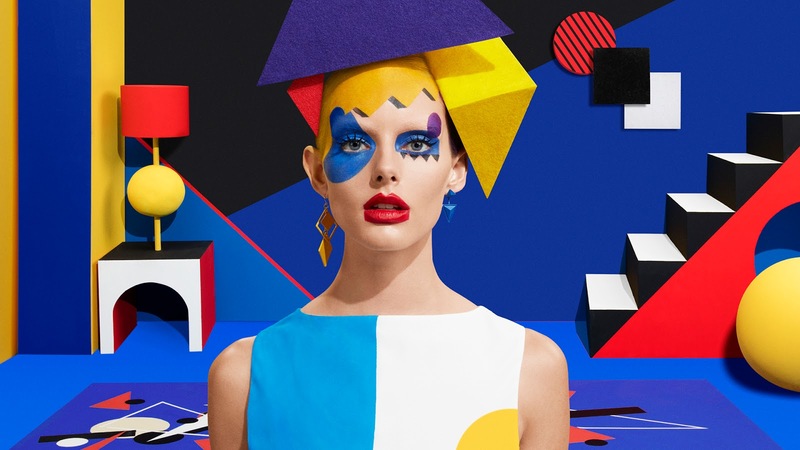 They're also the agency behind Aishti's signature orange branding. Sagmeister and Walsh are allegedly very picky in accepting clients, but from the looks of their portfolio, it seems that the Aishti Foundation is one of their favorites. 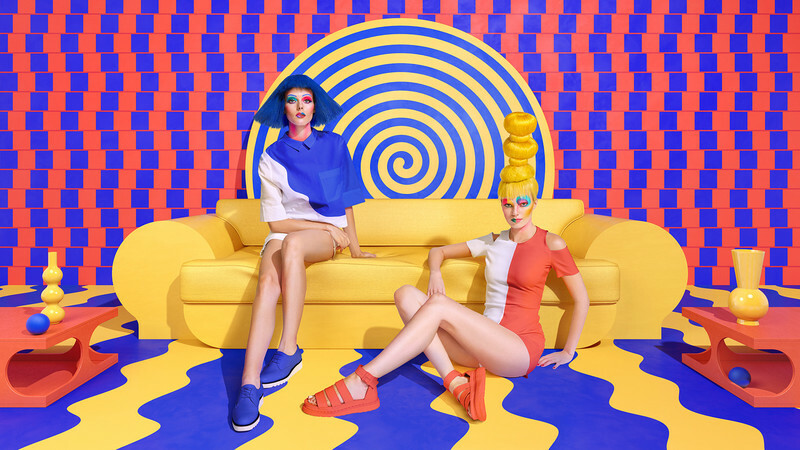 Launched this week, the seasonal ad campaign for Aïzone is bombarded with optical illusions, Mondrian-inspired designs and trippy universes. 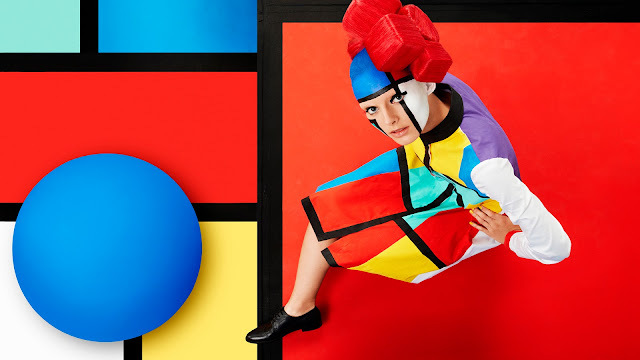 "Last year Sagmeister & Walsh created 3D environments inspired by 2D pop art paintings with the help of body painter Anastasia Durasova and set builds by Sing-Sing. 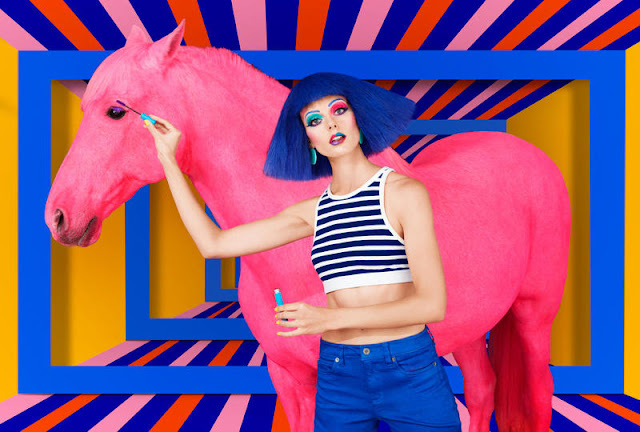 This year, along with the same team, they brought psychedelic and constructivist worlds to life, complete with trippy optical illusions and a pink painted horse. 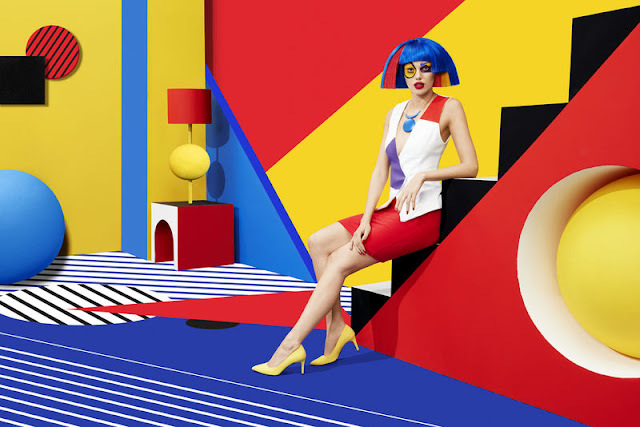 Images will be on billboards, in magazines, newspapers, and in stores across the middle east at Aizone stores." 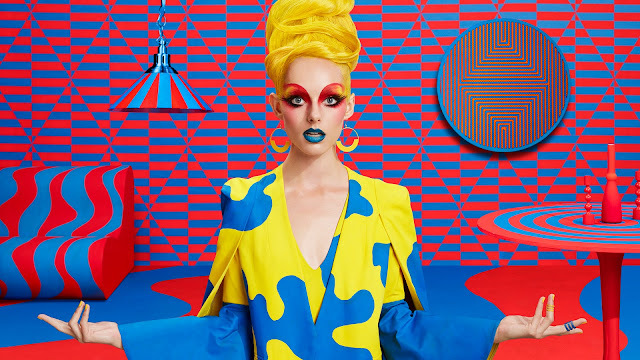 PS guys: where are the men in the campaign? 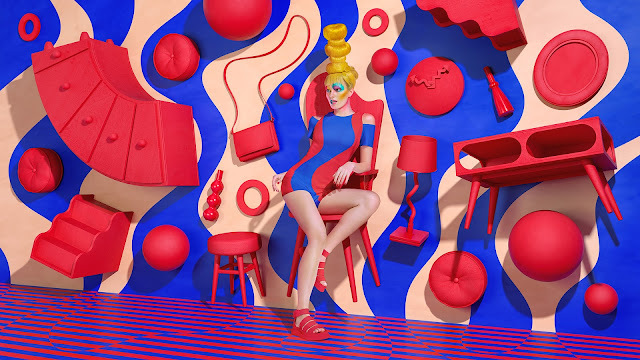 See the campaign in full resolution on the Sagmeister and Walsh website.